WordPress typically makes it incredibly fast and straightforward to launch and manage a website, whether you are creating an internet portfolio, an e-commerce website, or using WordPress to build sites for your clients, the WordPress platform and the huge community that use and support it, has got your back. 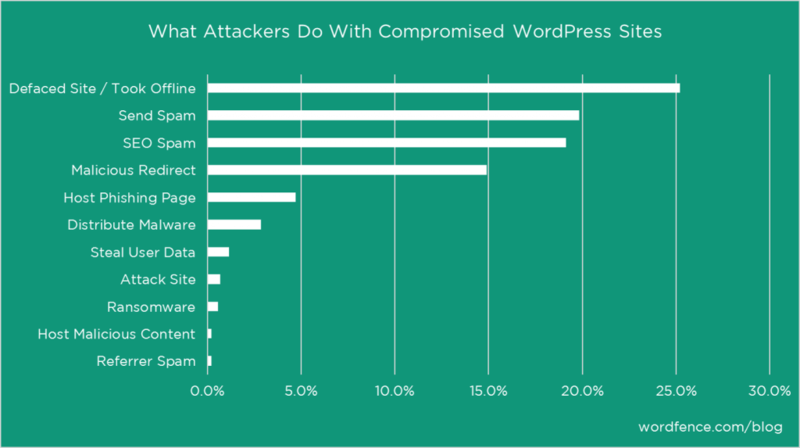 There are very good reasons for more than 32% of the world’s websites running on the WordPress content management system. Nevertheless, building a website and carrying out website maintenance are two very separate tasks, in fact, the most important work only begins once your website has been built and is online for people to see. I am not talking about ongoing content creation and website and content promotion here, as important as those tasks are. The single largest (and often unexpected) burden on website owners is keeping their website up to date and working smoothly. Is it really necessary to keep a website maintained? Failure to carry out basic monthly WordPress website maintenance will, without doubt, lead to some serious problems and increases the chance of a host of other non-critical but potentially serious issues if left unresolved. This information has been reproduced from a blog post at www.wordfence.com/blog – Click the image to visit them. Loss of income. Your server could run out of space if backups are not pruned routinely. Running out of server space will stop your e-commerce from being able to make sales or your email to be able to send or receive. Slow operation. If databases are not frequently optimised they increase in size, sometimes quickly, slowing down the operation of your site Consequently, regular monthly maintenance is highly recommended for your WordPress website. In this post, as well as learning why taking care of your website is important, we will discuss what tasks to perform and at what intervals to perform them in order to keep your WordPress website the well-oiled machine that your visitors expect. Should you automate your WordPress website waintenance? It helps to think of WordPress as a car engine. Sure, the car will keep running if you don’t change the oil regularly but it won’t run as smoothly, its performance will suffer too. The same can be said for your website. Can’t I just automate my website maintenance? If the software is as refined and easy to use as people say, then shouldn’t it be a set-it-and-forget-it kind of deal? Why should you have to invest time in maintaining your website? Well, although it is possible to automate a certain amount of maintenance tasks on your website, most of the time it isn’t really that clever to rely on that as a solution. So why is that? WordPress uses add-on bits of software called plugins. Plugins add functionality and allow the visitor or the site manager to carry out specific tasks. These little bits of software and are written and maintained (or not) by lots of different people, developers and companies. The problem with updating plugins is that often they have dependencies upon other plugins and sometimes, they include errors, bugs and incompatibilities which can cause failures or security vulnerabilities. If a site is set to auto update then you lose the opportunity to check these requirements prior to installation and increase the risk of your site breaking on update. Quite simply, setting your updates to auto may see your site stop working, and the sad reality with WordPress is that when it stops working this is often seen as a white screen. No site, nothing. That means lost earnings, sales leads and/or damage to brand and reputation. Using a human being to update your site means that there is the opportunity to use experience, research and testing to see if your site upgrade will go smoothly, even testing the updates out on a staging site prior to installing them on the lives site. The benefits of such a service mean that if something is going to go wrong, it happens in private and isn’t displayed to your visitors. 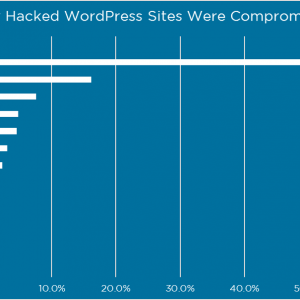 Surely, WordPress core updates can’t be a threat, can they? Sadly, yes, they can be. In only the last week we have seen the release of WordPress 5.0 (and now 5.01 and 5.02) which includes the new Gutenberg editor. This core update was pushed out very quickly before theme and plugin authors had the opportunity to make their software compliant with the new WordPress version. Almost every site that runs incompatible plugins and themes would have broken after updating to WordPress 5.0. In this instance, I was able to ensure clients didn’t update their website to the latest version of the software and kept their sites running. There is no substitute for human control and supervision of software updates. By carrying out little maintenance tasks on a monthly basis, you decrease the likelihood of getting to meet a larger problem in the near future. Website maintenance is vital to any business or organization no matter the size. Your WordPress website should be a worldwide window into your business/organization and it will have a great impact on how the worth of your product or service is seen by customers, both old and new. All businesses should carry out regular monthly web site maintenance in order to draw in and retain customers, preserve search engine rankings and provide information about new products and services to the general public. WordPress Website maintenance is very important to search engine rankings. Websites with an outdated content rank lower in Search Engine listings. Most search engines, as well as Google, check your page’s “if-modified-since” HTTP header to see whether or not it deserves to be crawled. Failing to create frequent changes might cause you to be pushed down below active competitors within the same listings as you, this will cost your business over time. This can be avoided by carrying out monthly maintenance on your WordPress website. A well – maintained WordPress website interests and brings in new users and maintains the interest levels of existing users. Your website ought to be focused on the user and should not be out of date, regularly update the content of the website and making sure that all user contact points are in great working condition. Regularly certify that contact forms work correctly, address and telephone number listings are up to date and product, services and prices are correct. Your WordPress website can be seen as a public reflection of your image. An inadequately maintained web site with a lot of errors, broken links, dead pages and obsolete information gives out a sloppy company image and might cause your business over time. Thoroughly examine the design, look and feel of your website and update it to match your company image. Check and fix broken links, poor descriptive languages and spelling mistakes as quickly as possible, ideally before a potential client brings them to your attention. Although every website is unique in its own way, with its own unique combination of themes, plugins and custom code, there are some routine tasks that most websites will require on at least a monthly basis. Frequency of maintenance should scale up or down to the importance of your site, the income it generates and the potential damage that could be caused if your site was hacked, deleted or defaced in some way. You may not have been aware that website performance, quick loading times, its uptime and therefor downtime, all rely on the WordPress software package and plugins running the latest versions. The performance and growth of your website and its content relies upon you or someone you appoint, monitoring and maintaining your website on an ongoing basis. As quick as WordPress is to set up, you may be surprised at the time your website can take from your working week to keep it running smoothly. Time that would be better spent on your core activities that generate income. For this reason I advise that you either delegate the task to a member of staff that has deep understanding about website maintenance or, alternatively, outsource that function to a freelancer such as myself. By using a freelancer to keep your website running smoothly your maintenance will be undertaken in a fraction of the time and at a fraction of the cost of doing it yourself. Not only that but a trained eye and rigorous process is much more likely to spot potential issues. Website maintenance is carried out monthly and on a rolling 30 day agreement that you can leave at any time. Call me today on 01903 527927 to get started or if your not ready to talk yet, why not learn more about website maintenance packages that I provide?